I wrote on this blog this week that South Carolina would not beat Georgia; that only Georgia would beat Georgia. What a klutz I was. South Carolina not only beat Georgia, they totally dominated the Bulldogs. They beat Georgia in every phase of the game, and then some. The Gamecocks embarrassed the Dawgs. Carolina exposed all of UGA's many weaknesses. They let the Bulldog Nation know that our Dawgs are not where we all thought we were. Georgia is not ready to take that next step in getting closer to the Alabamas of college football. 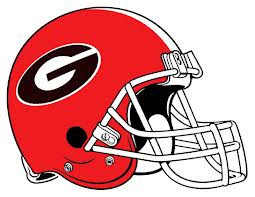 The severe beating that South Carolina inflicted upon us did not set the Georgia program back, it only showed the Georgia Program that it has not progressed in the first place. Man was I wrong.